If you run a Horse Facility, Riding School or Boarding Barn, we would like you to join us as an Accredited Horse Facility Partner. 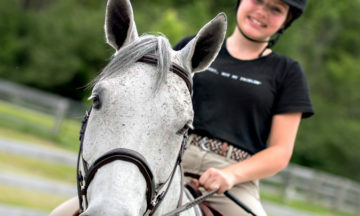 Horse Facilities are the hub of equestrian activity. Safety in the management of stables is an important factor in keeping horses and riders healthy and happy. A FREE Facility Partner membership will be given to any OE accredited facility that requires all riders and boarders to carry a current year OE Membership.